LONDON, Oct. 10, 2017 /PRNewswire/ -- Crowell & Moring LLP is delighted to announce the addition of Amy B. Comer as a partner in the firm's Corporate Group in London. Comer is an internationally recognized practitioner who has nearly 20 years of experience handling international corporate, commercial, and technology transactions, with a primary focus in emerging markets. 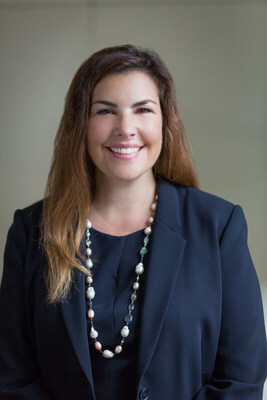 She will advise clients on cross-border and U.S. domestic investment and financial matters, including mergers and acquisitions, joint ventures and strategic partnerships, restructurings, corporate and project finance transactions, and general corporate and commercial matters. "Amy is an established mergers and acquisitions lawyer on both sides of the Atlantic," said Angela Styles, chair of Crowell & Moring. "Her addition enhances the firm's capabilities to advise clients on complex cross-border joint ventures and investments in emerging markets across EMEA and Asia. We are pleased to welcome her to the firm." "Amy's reputation for deftly handling sophisticated transactions in emerging international markets is well known, particularly in the energy and healthcare sectors," said Morris F. DeFeo Jr., co-chair of the firm's Corporate Group. "She is highly regarded by clients who rely on her counsel to offer exceptional value from a business and legal perspective. Her addition provides an important capability to our Corporate Group." Jack Thomas, managing partner of the firm's London office, said of Comer: "Amy's presence solidifies our corporate depth in London, adding to our already notable office capabilities in insurance, sanctions, and arbitration." Comer joins the firm from Morgan Lewis, where she was instrumental in building its corporate practice in London. She has been recognized in recent years by Legal 500 UK and Chambers Global. "I'm excited to join Crowell & Moring's distinguished group of lawyers," Comer said. "I am eager to help grow the firm's corporate presence in London and expand our work in emerging markets." Comer earned her J.D. from Tulane University Law School and her B.A. from Utah State University. She is admitted to practice in England & Wales and in New York.